A person who is a Dental Public Health dentist is a certified specialist in recognizing preventing and controlling dental disease in a community. This type of specialist is one who does planning of programs to reduce dental disease in a whole town or an entire region (or even a whole country). Like our other specialists, many Public Health Dentists have spent time as general dentists before completing their additional training as specialists. Many are also involved in providing clinical dentistry to patients as well as doing their work as public health dentists. In this series, I have said before that in dentistry we really have only a few tools to use in our battle to keep our teeth healthy by preventing dental problems before they arise. These tools are: Toothbrush, floss, professional cleanings (when the dental hygienist cleans your teeth), fluoride, and diet. There are people working on other items to enhance these tried and true tools of prevention in dentistry. Those people are being led by Public Health Dentists. 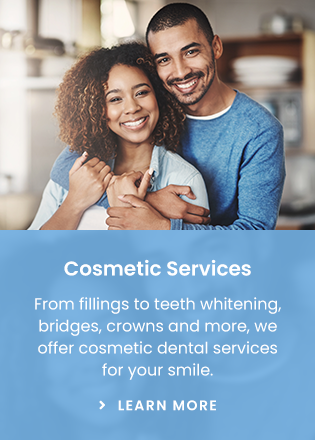 As you probably have guessed, a Public Health Dentist is usually employed by some level of government to asses the level of dental health in a particular community and develop plans to enhance the dental health of the members of that community. A Public Health Dentist does the assessment, comes up with a plan, implements the plan using other personnel, and assesses the level of success of the dental public health plan. Once the outcome of the plans he has put in place are what is expected, often the public health dentist moves on to enhanced dental health plans for the area or often to other communities where dental public health is in need of enhancement. Because of the planning nature and supervisory nature of much of what a dental public health dentist does, there are not very many specialists in this area of dentistry. As well, because of the supervisory and research emphasis of this specialty, most patients will never meet a public health dentist in his official capacity. In this region, we have many small communities scattered throughout a large geographical area operating quite independently in many ways. This makes our area a place where the services of a public health dentist can be quite an asset to the health of the people. For this reason, our area has had an active public health dentist for many years. As mentioned before, the tried and true tools for preventing dental disease are: Toothbrush, floss, professional cleanings, fluoride, and diet. Our public health dentist and those like him in other areas across the country try to maximize the benefits of each of these tools in the people who live in the target area. Some of his work involves increasing access of the people to clinics where dental cleanings and other treatment can be provided, and education programs in schools and elsewhere where people can learn why a toothbrush and floss are important and how to use them effectively. He also works to educate leaders and regular people concerning effective and appropriate use of fluoride. Diet is always an issue, and may actually be the most difficult to optimize in most people’s lives.